Hanover Page Mill enhances the ecology of people and nature by integrating the art of design, the science of nature and the economics of business. Our philosophy is simple: strive to integrate ecology and economics to create a lightened burden on the environment, a positive impact on the human experience and healthy financial returns. The Gaithers’ vision for 1400 Page Mill Road was a building ahead of its time technologically providing a healthy and comfortable workplace for professional services firms. Jim Gaither, Jr., former ecologist for The Nature Conservancy, pushed the team to ensure rigorous sustainability goals were met. 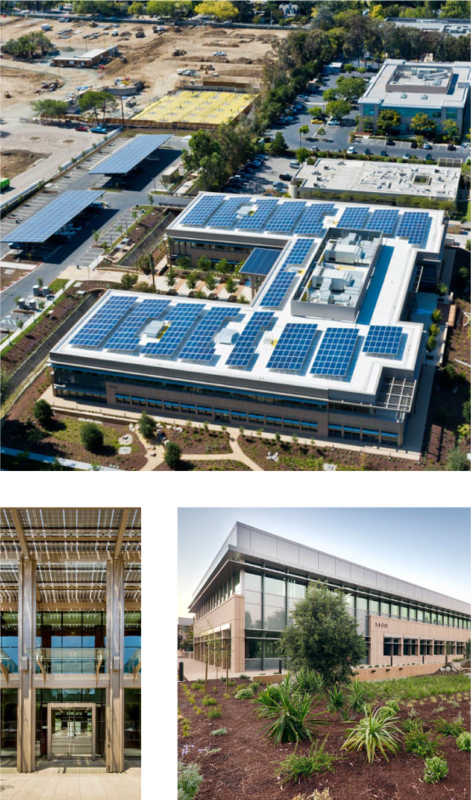 Hanover Page Mill, a LEED Platinum and Net-Zero Electric (NZE) building is a powerful statement of synthesis between architectural form and energy performance. 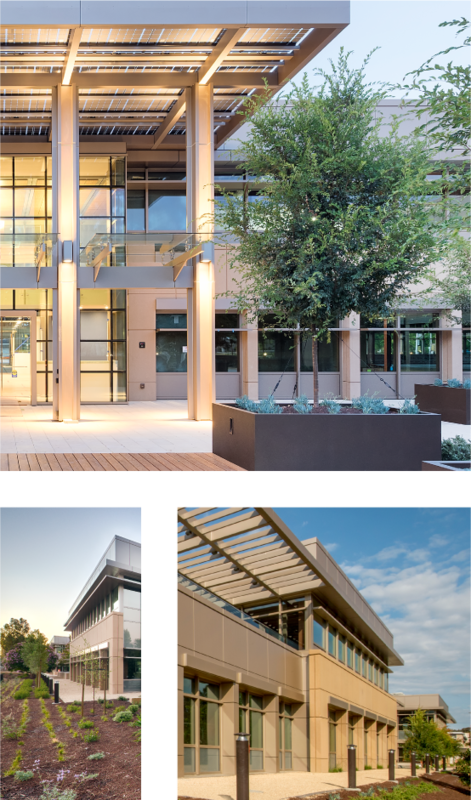 Located at Stanford Research Park in Palo Alto, CA, this spec office building was designed using affordable and practical building strategies to provide higher occupant comfort standards, while offering market-rate leasing options that make it competitive with traditional buildings. The central theme of Jim’s career is ecological and economic integration to create high performance projects. Prior to commercial real estate, Jim worked for 16 years in the development of nature preserves. 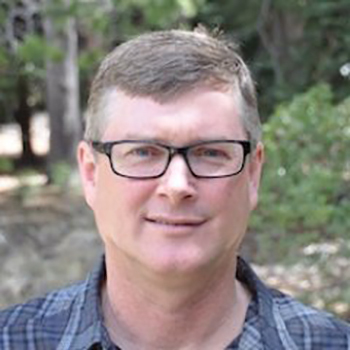 He founded the Northern Sierra Project for The Nature Conservancy, and has advanced conservation solutions on thousands of acres of protected lands and waters. Flagship projects include the 2,323-acre Independence Lake Preserve near Truckee, California, and the 7,472-acre Headwaters Forest Reserve near Eureka, California. Jim earned his PhD in Ecology from the University of California at Davis, and his MS and BS in the Biological Sciences from Stanford University. 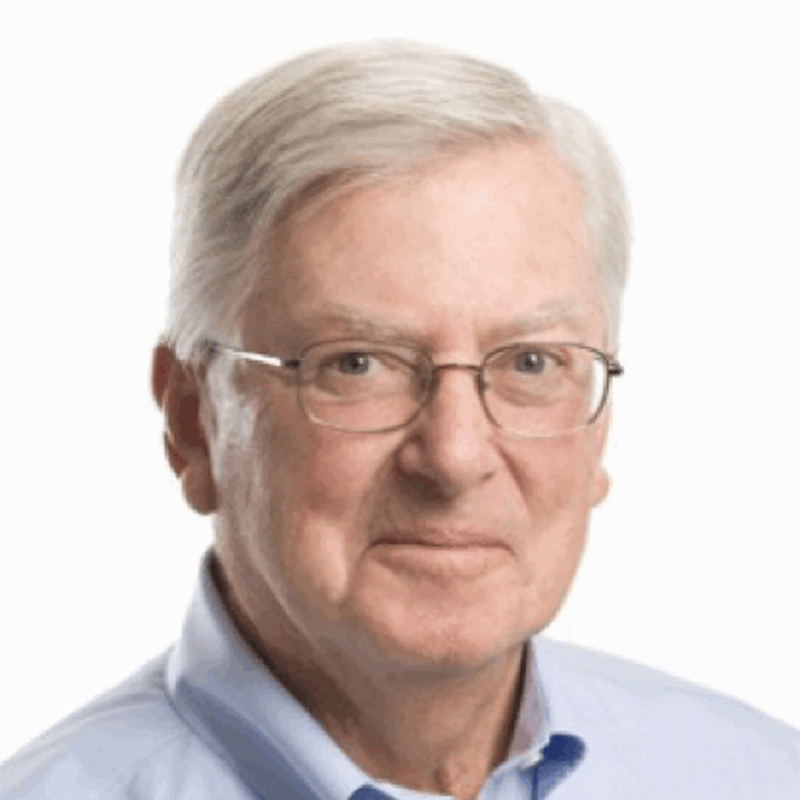 Jim Gaither joined Sutter Hill Ventures in 2000 after working with Sutter Hill for many years as advisor, lawyer, Special Limited Partner and fellow director of portfolio companies. Jim has been a leading Silicon Valley lawyer and entrepreneur for many years, and helped build his firm, Cooley LLP, into one of the top technology fi rms in the country. He is currently on the board of NVIDIA and is Vice Chairman of the Board of Makena Capital Management. Jim also has active philanthropic interests. He has served as Chairman of the Stanford Board of Trustees, as well as its investment committee, and as Chair of the Stanford Law School’s Advisory Council and Capital Campaign. He also served as Chairman of the Boards of The Carnegie Endowment f or International Peace and the James Irvine Foundation, and as Vice Chairman of the Boards of the Rand Corporation and the William and Flora Hewlett Foundation. Jim is currently serving as a Trustee of the Gordon and Betty Moore Foundation. Jim received his BA in Economics from Princeton in 1959 and his JD from Stanford in 1964. Following graduation from law school, he clerked for Chief Justice of the United States, Earl Warren and was a Special Assistant in the Justice Department and Staff Assistant to President Lyndon Johnson before returning to the Bay Area. 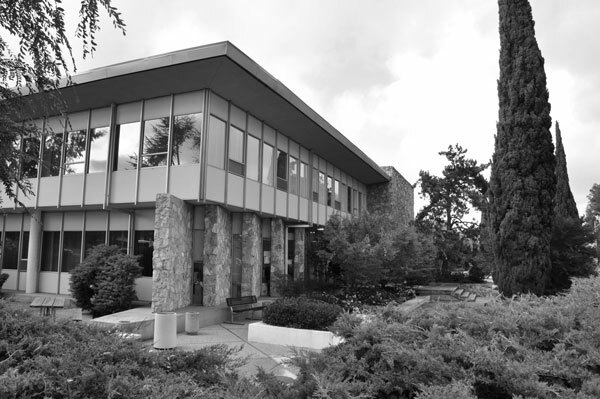 Brief History of Hanover Page Mill Associates, L.P.
Stanley Wells Good, Jr. (1909-1971) of Consolidated Development Corporation secured a ground lease in the Stanford Research Park in 1959 at the corner of Hanover Street and Page Mill Road, in Palo Alto, California. In 1961 Stan completed construction of his first building and in subsequent years he leased adjoining parcels from Stanford, to create the single leasehold interest now known as 1400 Page Mill Road. 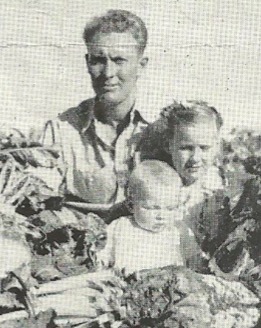 Prior to commercial real estate, Stan owned and operated Woodland Farms in Woodland, California, where he grew a diversity of crops such as sugar beets and rice on a traditional family farm. After World War II he sold the farm and moved his family to the Peninsula to pursue a new career in commercial real estate development. After Stan passed away in 1971 the commercial property at 1400 Page Mill Road was operated by his wife Louise Merritt Good (1913-2003) and his business partner Gilbert Dodds. In 2004 his son-in-law James Castle Gaither assumed management responsibilities. In 2012 Stan Good’s grandson James Castle Gaither, Jr. joined the business on a full-time basis to re-develop the property. From 1991 to 2014 the anchor tenant was Stanford Hospital and Clinics, an administrative branch of the Stanford Hospital. The old Stan-Good buildings were demolished in 2014 and new construction of a core & shell was finished in 2015. Copyright © 2019 Hanover Page Mill Associates, LP. All rights reserved.